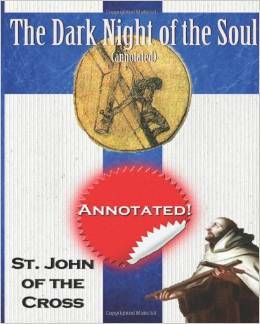 Your Special Annotated edition includes: • Glossary of medieval Catholic terminology • Biography of St. John of the Cross • Narrative-Essay—The Incredible Account of St. John’s Final Hours before Going Home to Behold our Lord The Dark night has been described as a point of deep "spiritual crisis" and the pathway Fray John lays out isn't merely to recover but to thrive and experience true union with God. This is mysticism with a purpose, to change your life right now, to become more like Christ every day. This is no bleak night but a bright light of hope lit on a clear path to lving holiness by the premier spiritual master, St. John of the Cross. In a homily commemorating the martyrdom of St. John the Baptist, Pope Francis remarked "I think of the dark night of the soul of Blessed Teresa of Calcutta” and is inspired with the hope only Christ can give each of us. Together St. John of the Cross and St. Teresa of Avila are considered the founders of the Discalced Carmelites.